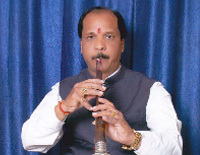 A renowned Sanai and Sundari player in India, Shri Tukaram Daithankar represents the fourth generation of legendary sanai players. He was trained under father Mahadevrao Daithankar. Sanai Samrat Ustad Bismilla Khan was his inspiratinion. 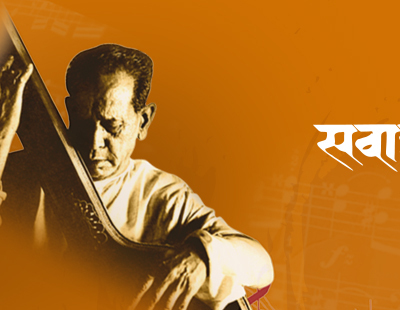 Tukaram Daithankar has presented in front of many Prime Ministers and Presidents and in all prominent festivals such as Pune Festival, Pune Navaratra Utsav, Gajananbua Sangeet Mahotsav, Shrimant Dagadusheth Halwai Ganapati Sangeet mahotsav etc.He performs regularly on Doordarshan. The auspicious beginning of Akkalkot Swami Sangeet Mahotsav, Ballaleshwar, Pali, Ranjangao Ganapati Mahotsav is marked by Shri. Daithankar's nonporous sanai!